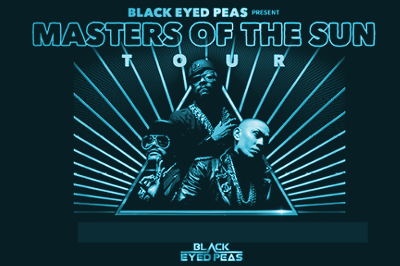 The Black Eyed Peas are heading to SSE Hydro Glasgow on Friday 2 November 2018 and tickets are now on sale. It will be the groups first visit to the Glasgow venue on their 2018 tour entitled ‘Masters of the Sun‘. It’s title comes from the name of the Graphic Novel they produced in 2017 and it’s rumoured a new album will be imminent by the time of this tour. The core trio of rappers will.i.am, apl.de.ap, and Taboo, released their first post-Fergie single at the start of this year ‘Street Livin‘ and have more recently followed that up with ‘Ring The Alarm‘. Whatever happens with the new record, fans can expect plenty of big tunes on the night from their releases ‘Elephunk‘, ‘Monkey Business‘ and ‘The E.N.D‘.